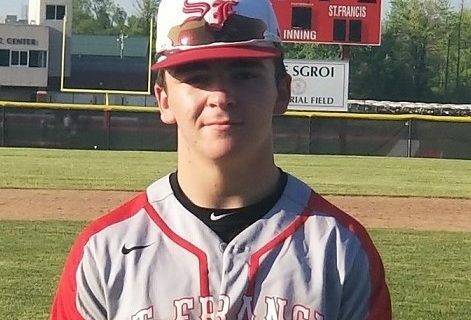 Cole O'Connor of St. Francis High School is the Buffalo Sports Page Athlete of the Week, sponsored by Southtowns Trophy. This week’s Buffalo Sports Page Athlete of the Week, sponsored by Southtowns Trophy, is Cole O’Connor of St. Francis High School. The Red Raiders centerfielder led the baseball team to the Monsignor Martin Championship, while hitting .610 for the season. Cole was nominated by WNY Athletics. He will receive a trophy from Southtowns Trophy in Orchard Park. If you know a deserving male or female athlete ages 8-18, nominate them here.